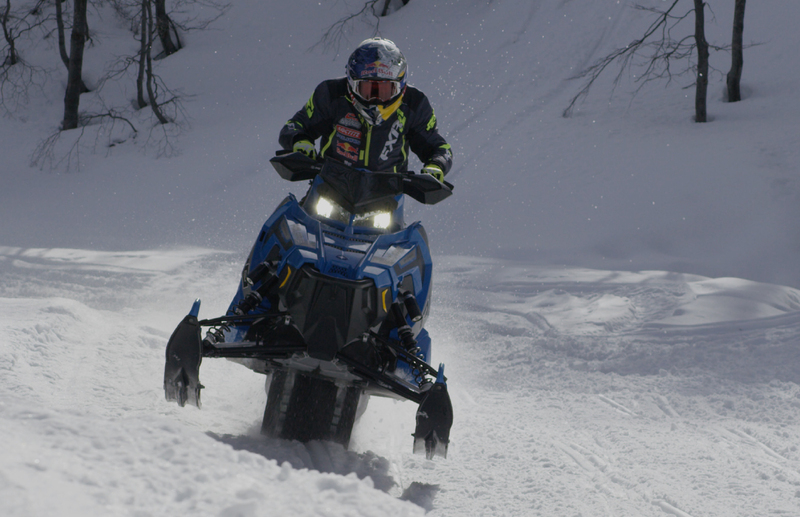 Magog, QC, August 23, 2017 – The next-generation of snowmobile trail track has arrived with the Camso Storm 150. Designed for modern rider-forward snowmobiles, it is capable of breathtaking acceleration on-trail, excellent flotation off-trail and crisp control in all conditions. The Camso Storm 150 gives riders the best of both worlds by using 1.5-inch cup-shaped center lugs that provide acceleration on packed trails and bite hard in soft, loose snow conditions. Combined with 1.25-inch outer lugs, it provides power and control through the tightest turns by improving tail slide capacity. It also maintains ground contact during pitch turns. Optimized support columns give this track the right balance of lug rigidity and flex for excellent all-round performance. The result is the first two-lug height trail track of its kind, available in 120, 129, 137 and 146 inch lengths. 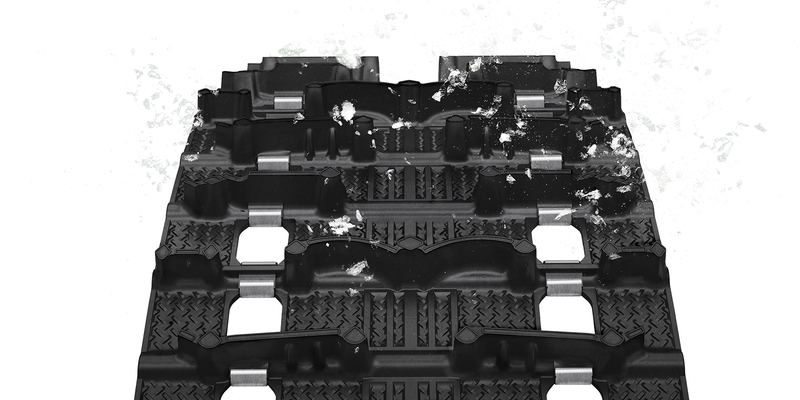 As well, the trail track’s design symmetry and profile geometry make the snowmobile feel more firmly planted to the trail for better handling even at high speeds, while at the same time significantly reducing noise compared to many other trail tracks. In their efforts to create the Camso Storm 150, Camso engineers co-developed the design with the help of Polaris, long-time partner and customer of Camso. “Further feedback was provided by Polaris on the performance characteristics of the track, allowing us to further improve the Storm 150’s features. The result is an innovative new trail track that provides all-out acceleration and agility, whether the rider chooses to tear up trails or carve through fresh powder,” says Dashnaw. The Camso Storm 150 will be making its first public appearance at HayDays, the world’s biggest snowmobile and ATV event in the world, in North Branch, Minnesota on September 9 and 10 (booth AD0-AD1). It will be available to purchase this fall through Camso’s established network of powersports dealers worldwide.